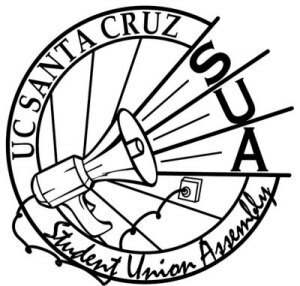 With a budget deficit of $37,144.19, the Student Union Assembly (SUA) spent the early weeks of fall quarter correcting errors of a budget approved by last year’s iteration of the assembly. The deficit is a result of two errors. SUA’s bylaws stipulate that carry forward, or “unspent monies,” from the previous fiscal year must first be allocated into a reserve equivalent to 10 percent of the assembly’s operating costs. For this year, $36,367.20 out of $363,672 should have been placed into the reserve. Of the remaining carry forward, if any, 30 percent goes to programming and 70 percent to the general fund. Only $11,500 was apportioned into the reserve, according to the budget approved by last year’s assembly — a difference of $24,867.20. The misallocation alone would not be enough to create a deficit, as long as the carry forward is large enough, but this was not the case. Last year’s assembly overestimated its unspent monies by $69,118.19. As to how this happened, SUA Chair Justin Lardinois suggested that “carry forwards are, by nature, unpredictable,” and that passing a budget at the end of May, a month before UC Santa Cruz’s fiscal close, is difficult. “I attribute the overestimation to expenses that last year’s budget committee and assembly either forgot to consider or did not anticipate, as well as wishful thinking on their part,” Lardinois said via email. Those forgotten or unanticipated expenses included paying University of California Student Association (UCSA) dues, an organization that SUA has been tied to for more than a decade, and paying an intern who wasn’t paid during fiscal 2013-14. On Tuesday, the assembly passed motions to reallocate and cut a total of $35,860.23 to balance the budget, leaving a remaining deficit of $1,283.96. SUA aims to address this during its next meeting on Nov. 18. The proposed cuts came from a combination of recommendations made by an ad-hoc committee composed of student volunteers interested in balancing the budget, and after the recommendations were presented, the assembly provided suggestions. Lardinois would go one step further and advise that this year’s budget committee for fiscal 2015-16 not allocate carry forward at all. Editor’s Note: SUA Chair Justin Lardinois was originally referred to as “acting SUA Chair,” and the word “acting” has since been removed, as the previous description suggested he is an interim Chair.